Cold Weather Hiking Boot | BUDK.com - Knives & Swords At The Lowest Prices! 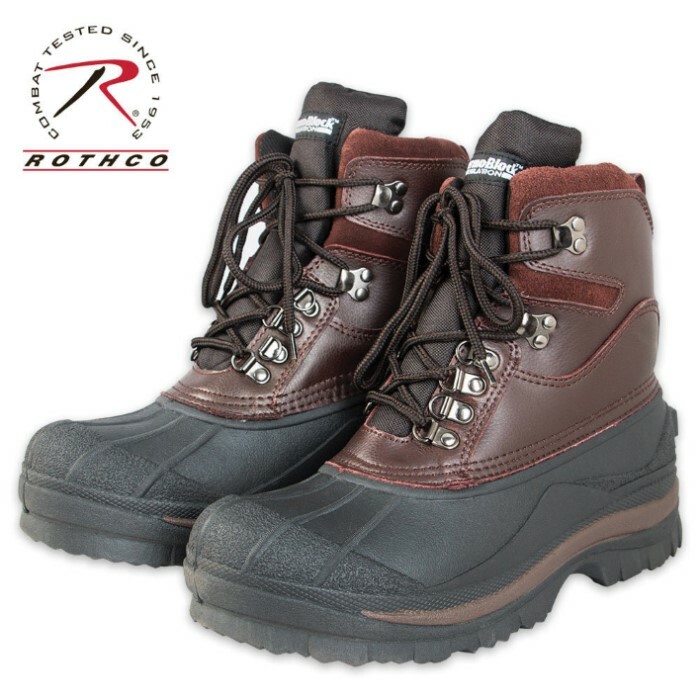 Perfect for cold, snowy, wet and extreme winter conditions, these winter boots keep the feet warm and dry through it all. Got them five days after ordering them. They were about a half size too big (size 8), so I put some Dr. Scholl's gel supports into them with regular boot socks and they fit perfectly. No pinching or feeling to tight either. Yes, they are for winter, but very comfortable around ankle and midfoot as I do have a high arch. Nice room around toes. I have a wide foot, so width is great. Showed them to my nephew who is into this stuff and he said they were just fine for me. Great thick boot! I would definitely refer for people to buy.